Setting up email on your computer, tablet or phone and choosing which method in which to access your email can be confusing. Clients often ask us what is a POP or IMAP and why does it matter. Here we will give a brief comparison between the two email protocols, IMAP and POP, so that you can choose the one that will fit your email needs for your business. The IMAP protocol keeps all your emails on the server. 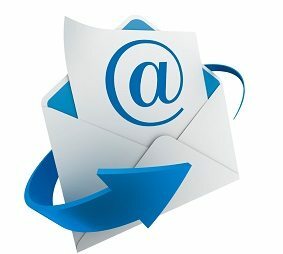 What ever software or app you are using syncs with the email server and shows all emails that are currently present. By default, the POP protocol downloads all your emails from the server onto the device in which you are accessing the email. Because all your emails now exist on that device (computer OR tablet OR phone), you will not be able to see/access your emails from any other device. ***NOTE: see exception below. What happens to the email when I move it into a folder, or delete it? Any actions performed to the email will happen directly on the server. This is a permanent action, regardless of which device you are using. If you have folders setup in your email, you will be able to see those folders on any device because they exist on the server. Because the POP protocol downloads all your email to one specific device, any actions to the email must be performed on that device. These are permanent actions. If you try to access your email from any other device, you will not be able to see folders you created. How many emails can I keep/how much space am I allowed to have for email? Most email servers have a quota and that is defined by your email server provider. You will want to regularly delete unnecessary emails so that you do not run out of the allotted space, which can cause you to not be able to receive emails. You are only restricted on space by the size of the hard drive or SD card on the device you are using. In general mail host providers do not make backups of email communication. We would recommend that using the POP setting is the best way to ensure no data loss.